In the summer of 1976, Marc O’Carroll, a student and artist at the University of Maryland, Baltimore County (UMBC), designed and installed the Mnemonic sculpture next to the campus’ Fine Arts Building. 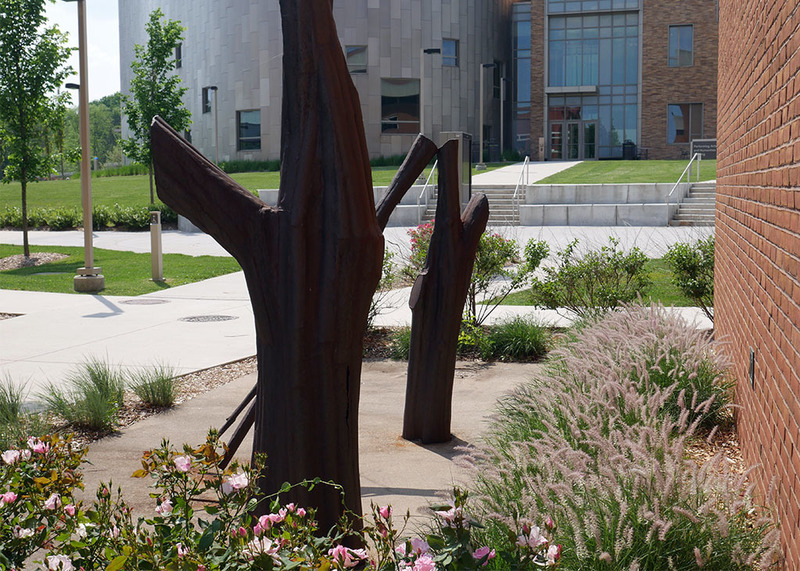 The sculpture, a collection of steel trees displayed in various stages of being chopped down, brought a unique appeal to an institution that seemed overly engrossed with rapidly expanding in size and scope at any cost necessary. As a student at the university, Marc O’Carroll grew fond of a massive and ancient sycamore tree that was located behind the school’s Dining Hall. The sycamore had stood on the campus years before administrators had begun planning for the UMBC campus. However, university workers cut down the tree in 1976 to build a short driveway for trucks to pull into during the construction of the new University Center. When O’Carroll was commissioned by the university to construct a sculpture project, he decided to pay homage to the destroyed sycamore tree by building the Mnemonic. O’Carroll intended for the sculpture to stand as a memorial to all the trees that had been cut down to make way for new campus construction projects during the 1970s. By welding his memories in steel, Marc O’Carroll created a dynamic sculpture that invites people to reminisce about nature and its surroundings. Although the artist is no longer at UMBC and neither is the massive sycamore tree, the Mnemonic carries on the memories of both. 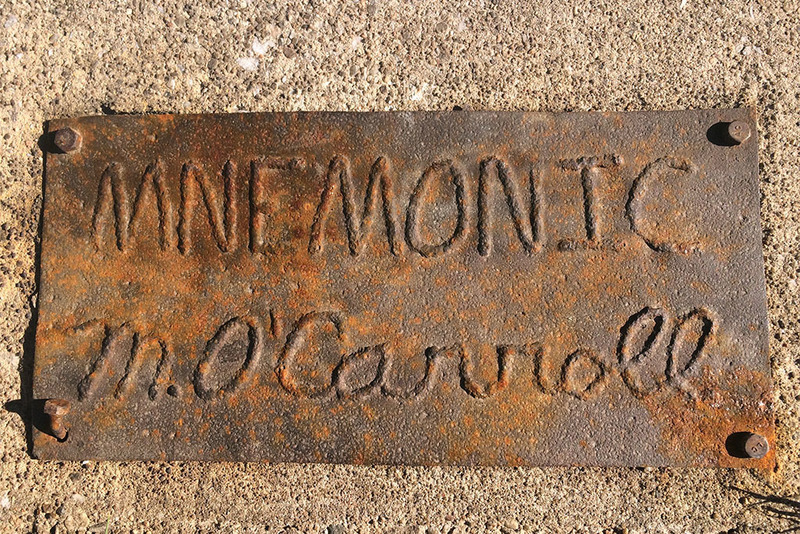 Yamid A. Macías and Sarah Huston, “Mnemonic (1976),” Explore Baltimore Heritage, accessed April 23, 2019, https://explore.baltimoreheritage.org/items/show/549.